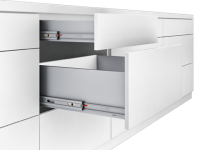 ROLLBOX, Ball-Bearing Drawer Set brings a unique solution to furniture industry, thanks to its innovative combination. 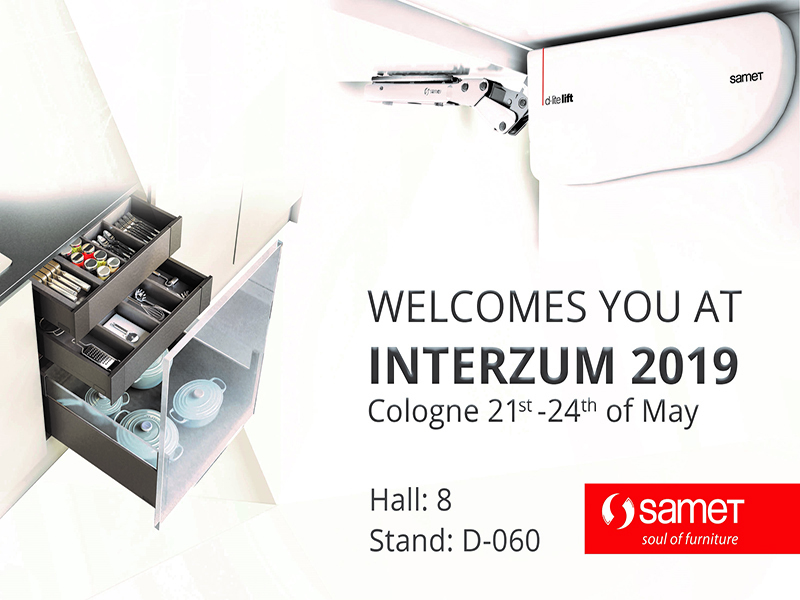 It ensures a premium and metallic appearance with its elegant design in kitchens, bathrooms and offices. 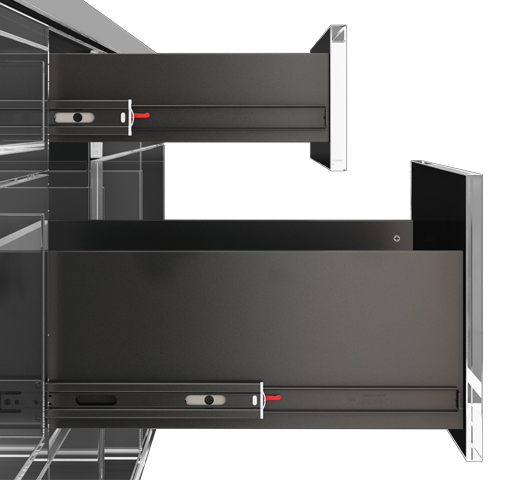 ROLL BOX Ball-Bearing Drawer set has been equipped with superior quality metal bearings and have been strengthened and designed with robust metal cage systems. 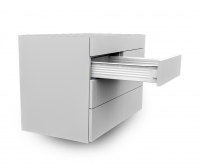 It provides silent and smooth operation with the comfortable opening-closing movement that users need. 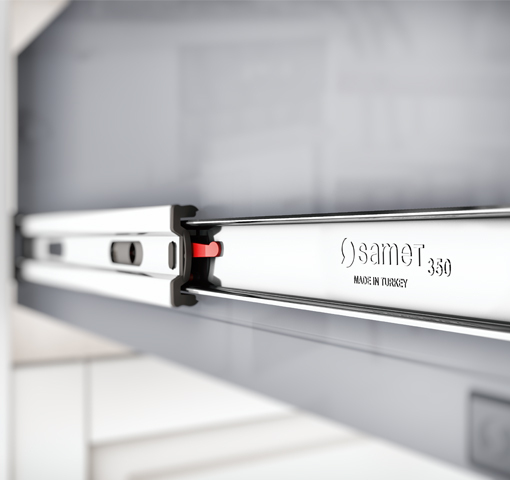 Even in the maximum loading capacity, it presents a long lifecycle performance with the minimal noise and push-pull forces. 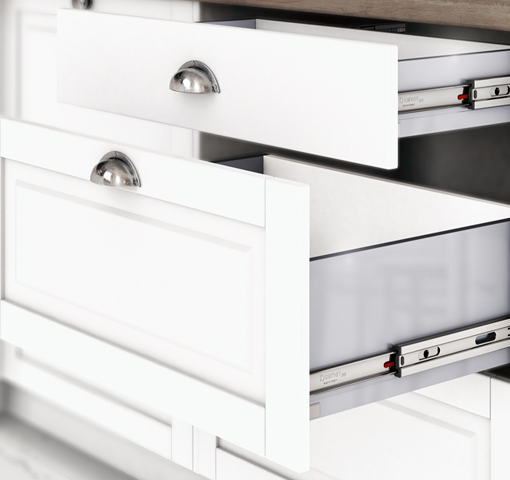 ROLLBOX Ball-Bearing Drawer Set ensures a sophisticated look with its perfect, ultra slim and sleek side panel design. 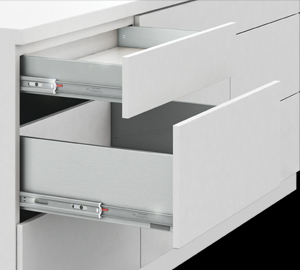 ROLLBOX enables maximum space usage in drawers, thanks to ultra sleek 12,8 mm side panels.